You would expect a city with an ego as big as Barcelona’s to have invented a foundation myth for itself, and this city’s men of letters cooked up a good one. Everyone knows about Hercules’ trip to Spain, on the tenth of his mythological Twelve Labours. He built the Pillars of Hercules on that visit, and if you believe the Barcelonans, he stopped to found their city on the way back. The truth is, no one really knows how far Barcelona goes back. Some have claimed that the Carthaginians were here, and that ‘Barcelona’ was founded by Hamilcar Barca, the father of Hannibal. So far, though, no archaeological evidence has turned up. As far as anyone knows, the first people to settle, up on Montjuïc, were a Celtiberian tribe called the Laietani. The Romans mopped them up, along with the rest of Hispania, in the Punic Wars (265-146 bc), and in 15bc, during the reign of Augustus, they founded a city on the plain under Montjuïc and called it Colonia Faventia Julia Augusta Pia Barcino. Barcino was a typical Roman castrum, roughly rectangular in form, with a tidy grid of streets. Its forum stood where Plaça Sant Jaume and the Ajutament (city hall) are now—the centre of urban life continuously for over 2,000 years. 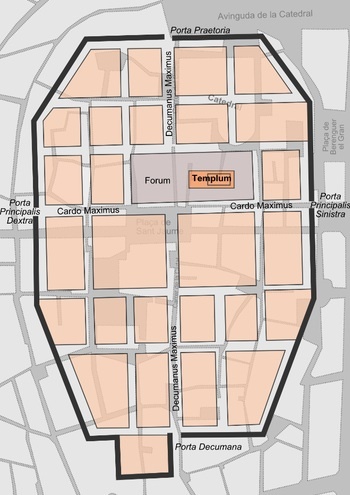 On a map, you can see the curve of streets around the centre that mark the course of the Roman wall: Carrer dels Banys Nous, C/de la Palla, C/de la Tapineria. Within, the two crossing main streets of a typical castrum plan, the cardo and decumanus, survive too (C/del Bisbe and C/de la Ciutat were the decumanus, C/ del Ferran and C/ de la Llibreteria the cardo. Barcino never got very big. The real metropolis in those days was Tarragona, the capital of Hispania just down the coast. But in a prelude to the barbarian invasions, this little town attracted a sacking from the Franks in AD 262. The Visigoths came next, in 415. Barcelona served them briefly as a capital before they moved on to Toledo, but after that the city dwindled and very little is heard from it for the next 300 years. Bits of Roman Barcino survive all over the Barri Gotíc. You see parts of its walls around Plaça Nova, Roman tombs in Plaça de la Vila de Madrid, and visit some excavated streets and buildings underneath the Museu d’Historia de la Ciutat. Meanwhile, lost in Dark Age isolation a new nation was taking shape up in the Pyrenean valleys. Catalunya (a name that in fact does not appear in the chronicles until the 1100s) may originally have been ‘Gothlandia’, land of the Goths, or ‘Castellania’, land of castles. We know next to nothing about it in these centuries, but in the 8th century this obscure people would suddenly find themselves on the front lines of history. About 717, only six years after they began their lightning conquest of Spain, the Arabs took Barcelona. In retrospect, it was the biggest stroke of luck the city ever had—the Arabs thoroughly destroyed Tarragona, and they made Barcelona their local capital in its place. Now, the proto-Catalans in the mountains were joined by Christian refugees from the rest of Spain and almost immediately, they began to fight back. The Reconquista that would be the major theme of Spanish history for the next seven centuries had begun. The Christians were aided by the Franks, who came over the Pyrenees under Charlemagne’s son Louis the Pious in 801 and reconquered Barcelona and northern Catalonia. In 874, the Franks set up the County of Barcelona to better organize the fight against the Moors, and entrusted it to a local baron who would become a great warrior and benefactor to the city—Catalunya’s national hero Guifré el Pilós, or ‘Wilfred the Hairy’. Things were looking up. As the Frankish empire fell apart, Barcelona was increasingly left to its own devices. In 985 Count Borrell II declared his obscure little state sovereign and independent. We can’t know if he had any idea of the fabulous destiny that was awaiting it. But in less than a century and a half his successors would be kings, and another century after that would see them ruling a great maritime empire. Money makes history, and the Catalans quite unexpectedly found themselves sitting on piles of it. They discovered iron ore up in the Pyrenees, and an improved way of smelting it. At the same time Barcelona’s merchants nurtured a booming trade making woolen cloth to sell to the Moors and Italians. Trade meant shipbuilding, and a navy. The counts and the businessmen got on well, evolving an odd sort of hybrid state that seemed a typical feudal power when looked at from land, and the very image of one of the Italian maritime republics, Venice or Genoa, when viewed from the sea. It got bigger. Under Ramón Berenguer I (1035-76) Barcelona extended its control into southern France, as far as Montpellier. Ramón Berenguer IV (1131-62) gained the Kingdom of Aragón by marriage, and the counts became ‘count-kings’ (because it was Barcelona that really counted). Finally, Jaume I the Conqueror (1213-76) inaugurated what the Catalans consider their golden age, adding Valencia and the Balearics, and spreading their sea power and trade routes across the Mediterranean. Upon Jaume’s death his possessions were divided between his two sons, but the adventure continued. Barcelona grew to a city of 50,000 inside the new walls Jaume built. By the mid 1300s the Catalans were running Sardinia and Sicily, and for a while even some parts of Greece, including Athens. Ships from Barcelona called at every port in the Mediterranean; the Catalans became the world’s first great mapmakers and their maritime code, the Llibre del Consulat del Mar, was the accepted law of the sea. We, who are as good as you, swear to you, who are no better than we, to accept you as our king and sovereign lord, provided you observe all our liberties and laws, but if not, not! Monuments of the great age of Catalan architecture can be seen as far as Palma de Mallorca and Naples. 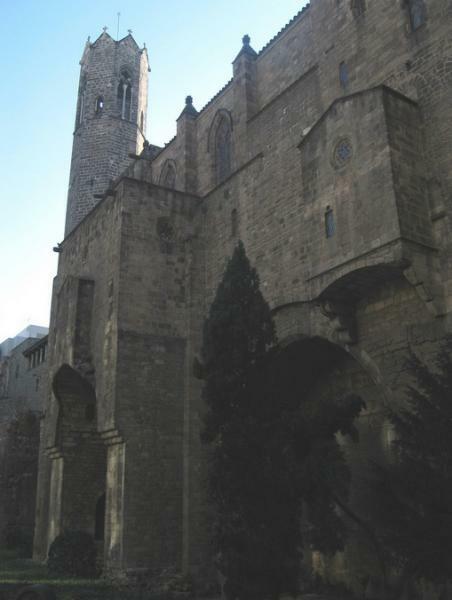 In Barcelona, the most important are Santa Maria del Mar, the Cathedral, and the Palau Reial of the Aragonese Kings, now incorporated into the Museu d'Historia de la Ciutat. This museum contains some art of the era too, though the great treasure-trove of medieval Catalan painting is the Museu Nacional d’Art de Catalunya on Montjuïc. You can get a good sense of old Barcelona's seafaring prowess and empire building at the Museu Marítim. So how did things go so wrong? Catalonia’s spectacular crack-up in the period 1350-1450 makes as dramatic a story as its meteoric rise, and historical detectives are still on the case. It’s clear enough that the two elite classes: Catalan nobles and Barcelona’s great merchant princes, misbehaved badly. Their refusal to share the fruits of empire with peasant and proletarian provides the underlying theme in a full century of troubles. The Black Death (1348-9) kicked off the decline, carry off as much as a third of the population in some places. Barcelona became riven by factional strife between the bigger and smaller business interests, while the city was increasingly plagued with unemployment, crime and poverty. The 1380s brought a wave of bank crashes and bankruptcies; in the 1390s itinerant preachers whipped up the first of many pogroms against the city’s important Jewish community. The Genoese, among others, were muscling the Catalans out of their Mediterranean trade routes. After 1412 a new dynasty, the Castilian Trastámaras, ignored the problems at home while wasting shrinking resources on overseas adventures, mostly in Italy. Everything came crashing down in 1462, when a peasants’ revolt (the Remença) quickly snowballed into a Catalan Civil War, pitting King Joan II against Barcelona’s Generalitat. For ten years the Barcelonans tried to give the throne to various foreign adventurers with the ability to raise an army; the troubles only ended with Joan’s siege and capture of the capital in 1472. By now, Barcelona was bankrupt, its trade and prosperity destroyed. The Aragonese monarchy was in desperate shape too. To put the cherry atop the Catalans’ heap of bad luck, Joan’s heir Ferran II (Ferdinand to us) was married to Isabella of Castile, who ended up Queen of that more powerful kingdom. When Ferdinand assumed the Aragonese throne in 1479, the two kingdoms became a united Spain—essentially a Castile writ large—and the Catalan state that in its prime had been one of Europe’s great powers was instantly wiped off the map. After 1492 the new Spain treated Catalunya like a colony; Barcelona wasn’t even allowed to participate in the booming new trade with America and Asia. Two big revolts, the Reapers’ War (1640-52) and again during the War of the Spanish Succession (1701-14) both ended in defeat; the Usatges and the last vestiges of Catalan autonomy were swept away. Madrid made the unruly Barcelonans pay to build an urban fortress, the Ciutadella, from which Spaniards could keep an eye on them. Over time, the great Kingdom of Aragon and its history were almost completely forgotten—to everyone except the Catalans, of course. Barcelona became an impoverished backwater, and a miserably crowded one, thanks to a royal decree that forbade the city from expanding outside its medieval walls. Things only started to get better after 1700, when Madrid gradually let the Catalans share in the colonial trade. 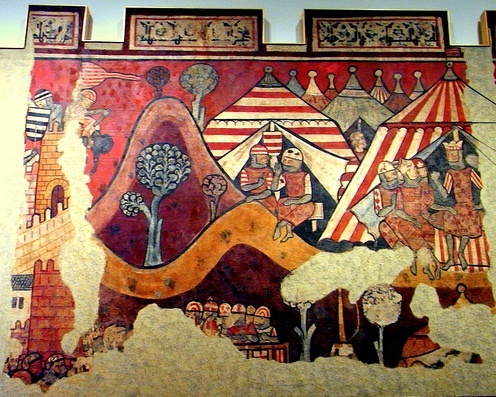 As in medieval times, Barcelona built up a textile industry, and the lands outside the walls became ‘fields of calico’ where cloth was hung out to dry. The city was rediscovering its old instincts and talents. Not much was built in the Barcelona of the 17th and 18th centuries, but the city did get one very unusual planned neighbourhood by the sea, Barceloneta. Despite rough French occupations in the Napoleonic Wars, and again in the 1820s, Barcelona was building factories, importing steam engines from England and developing for itself the only really modern economy in Spain. The Barcelonans built the country’s first railroad in 1848, and when Madrid finally allowed the city to expand, it exploded out over the countryside with the great Eixample plan of Ildefons Cerdà (1869). Unfortunately, just as in the Middle Ages, Barcelona showed it couldn’t handle prosperity. The new class of industrialists treated their workers like dirt, and these responded with waves of riots, strikes and the occasional major revolt, such as the Jamancia (1842) which wrecked over 400 buildings. In 1870, Spain’s first Anarchist congress was held in Barcelona, and the new faith won over large sections of the working class. By the 1890s bombs were going off all over town. A climax came with the Setmana Tràgica (‘Tragic Week), a strike that turned into a full-fledged revolt in 1909, when the Anarchists torched 70 churches and monasteries; dozens of their leaders were executed by the army in the grim repression that followed. Somehow, Barcelona managed to take all the troubles in stride. An artistic and literary movement called the Renaixença reminded Catalans of their history, promoted their language, and worked for a cultural revival. Barcelonans knocked down the hated Ciutadella and used its site to show off their booming city to the world in the Universal Exhibition of 1888. By 1900 the city had become an important art centre, with a cast of characters that included the young Picasso, while the streets of the Eixample began to fill with the revolutionary works of Antoni Gaudí and his colleagues, initiators of the home-grown architectural movement called Modernisme. Barcelona prospered along with the rest of Spain during World War I, taking advantage of the country’s neutrality, and again in the 1920s, under the pragmatic but Catalan-hating dictator Primo de Rivera. The city even managed to put on another World’s Fair, the International Exhibition of 1929. But the pot continued to boil. At times the city was averaging a strike a week, many of them punctuated by street battles between unionists and company thugs. In 1931, not long after the fall of Primo de Rivera, King Alfonso XIII abdicated and Spain became a republic. The Catalans immediately took the opportunity to reassert themselves, forcing through laws for regional autonomy and recreating the medieval Generalitat under their leaders Françesc Macià and Lluis Companys. The works of the Modernistas are too numerous to mention, but don't go home without seeing Gaudi's Sagrada Familia, the Parc Güell, La Pedrera and the other buildings on the Passeig de Gràcia, and the incredible Palau de la Música Catalana. The remains of the 1888 Exhibition can be seen in the Parc de la Ciutadella. The 1929 Exhibition left a World's fair atmosphere that lingers today around the Plaça d'Espanya and Montjuïc; here too Barcelona keeps some of its major museums. Continued turbulence in Barcelona, though, contributed much to the climate of extremism and general breakdown of order in the 1930s. When the generals attempted their coup in 1936, inaugurating the Civil War, Barcelona’s workers held the city for the Republic. The Anarchists' union, the CNT took control of the city and unleashed a reign of terror: Priests and nuns were massacred and the churches turned into union offices or community centres. Even the Ritz hotel was run as a collective, and ties were banned. The bourgeoisie were lucky if only their homes and cars were confiscated. The Republic couldn’t let the situation continue, and in 1937 Companys and the more practical and more disciplined Communists (whose influence with the Soviet Union, the chief supplier of arms to the Republic, was essential) cut a deal to restore order. A three-day ‘war within the war’ left over 500 dead in the streets, and Anarchism as a political force was finished forever. 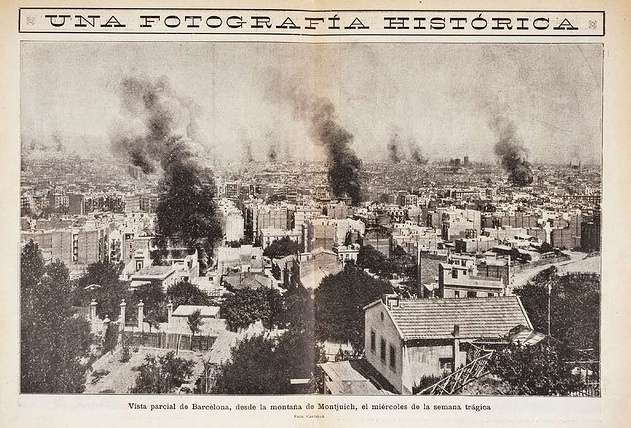 As the real war dragged on, Barcelona was bombed over 90 times by the Nationalists and their Italian allies, but held on almost to the end of the war. A half-million refugees streamed over the French border in January 1939 as Franco’s troops entered the city. Under Franco, as so many times in the past, Barcelona and the Catalans were singled out for special punishment. The new government did its best to wipe out Catalan culture; even speaking the language on the street could lead to a prison term. In the dark 1940s, Barcelonans knew hunger, and electricity was often available only a few hours a day. In the 1950s the economy picked up, and waves of poor immigrants from Andalucía and elsewhere flocked to the city, encouraged by Franco as an attempt to dilute the native Catalan population. Many of the new arrivals ended up living in shantytowns around the city’s fringes, while hideous new developments and road works, in the grim concrete style of the era, disfigured parts of the city centre. Looking at Barcelona today, free, rich and happy, the atmosphere of the city fifty years ago is almost impossible to imagine: gray years of neglect and poverty, pervasive fear and cops on every corner, a brilliant culture and its forgotten monuments once more pushed into oblivion. But already in the 1960s, the first green shoots of change were pushing up—neighbourhood groups organizing, samizdat Catalan literature, underground concerts and poetry readings. Everyone was waiting for the old dictator to die, and when he finally had the decency to do so in November 1975, the Barcelonans famously emptied every last bottle of cava in town. Once Franco was gone, pundits around the world expected Spain, and especially Barcelona, to rapidly descend into the old craziness. It didn’t happen. The Catalans, like everyone else in Spain, kept their cool as King Juan Carlos and his prime minister Adolfo Suarez carefully nudged Spain back to democracy. In 1977, Suarez reconstituted the Catalan Generalitat. The next year the new Socialist Party of Catalonia won the first free elections for mayor and council. They’ve run the city ever since, while voters in the hinterlands have generally favoured the CiU (Convergència i Unió), the Catalan nationalist party under Jordi Pujol that has often held the balance of power in national politics, allowing it to wring out more and more autonomy and favours for Catalonia. If the city had been down, it was never out, and in the 1980s Barcelona exploded with pent-up energy and creativity. With a little help from hometown boy Joan Antoni Samaranch, Barcelona won the 1992 Olympics, and used the event as an excuse for massive development projects all over the city. The show the city put on, especially in the opening and closing ceremonies, helped put it back in place at the cutting edge of European culture, and the building works started a physical transformation that has reoriented the city towards its long-neglected waterfront, in the new quarters of Vila Olímpica and Poble Nou. Where factories and dumps once stood, now young Barcelonans loll on the beach. Barcelona’s obsession with design is famous, extending even to its ‘design bars’ and ‘design restaurants’. Its museums, galleries and concert halls multiply like rabbits. The city that no one knew, a generation ago, is back in its place as a cultural capital and true world city; it attracts seven million tourists every year. Many of them come away with the impression that Barcelona is a lovely but frivolous place, a kind of Disneyland for adults. They are mistaken. If you get a chance to pass through the suburbs you’ll see the business end of town, the miles of factories and high-tech industrial parks that pay for the delights of the city centre. Barcelona is a metropolitan area of over five million people, the industrial heart of Spain. It has its own stock exchange and international trade fair, produces everything from cars to bathtubs, and it’s the world centre for publishing in Spanish (not to mention Catalan). The Barcelonan talent for trade and industry seems to be hard-wired. The city blossoms almost overnight whenever its difficult history permits. Since the return of democracy, the Catalans have been displaying a bit of what they’ve always claimed as a particular virtue of theirs: seny, good hard-headed peasant common sense. The political fruitiness of the old Barcelona has definitely faded, but new troubles brought on by the Great Recession and Spain's economic collapse have put Catalan seny under increasing stress. In 2011, widespread protests against the banks and government led to police violence in the Plaça de Catalunya. In 2012, rioters trashed the Passeig de Gràcia during a national strike, and over a million turned out for a pro-independence rally on the Catalan National Day (Sept 11), numbers that only grown every year since. 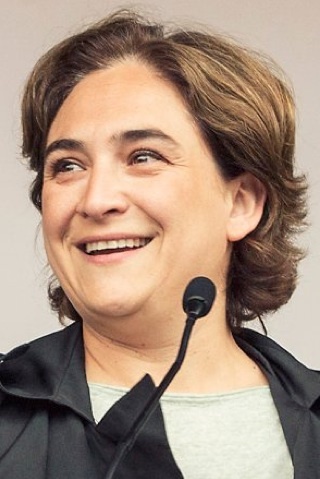 But along with the nationalists, Spain's anti-austerity Barcelona in Common (BComú) Citizen Platform party, supported by Podemos, also has broad support: in the May 2015 municipal elections, its leader, Ada Colau, who had begun her political career in 2009, advocating for people being evicted from the homes because of abusive mortgage clauses, defeated incumbent mayor Xavier Trias of the Convergence and Union (CiU) Catalan independence party to become Barcelona's first female mayor. There’s a sense that Barcelona could risk losing its soul. We need to seek a fair balance between the best version of globalisation, and keeping the character, identity and life of the city. This is what makes it attractive – it is not a monumental city, and it is not a world capital like Paris – its main feature is precisely its life, its plurality, its Mediterranean diversity. In response, Colau has put a moratorium on new hotel projects and new tourist apartment rentals. Many Barcelonans, finding themselves priced out of the housing market altogether would like to ban the rentals altogether. And yet, as Hancox pointed out, many pensioners and others on a low income have only been able to survive in the gruelling austerity of contemporary Spain by renting out rooms with Airbnb. People are also watching closely to see how she deals with the eviction of squatters in Gràcia (former mayor Trias, it turns out, secretly paid the rent with city funds to keep the public peace), a situation where more likely than not she will leave everyone displeased. At the time of writing, she has granted amnesty to the city's hundred plus cannabis clubs, although it's a move that will have to be approved by the city council. Colau has also been asked to find a building in the city centre to house an International Museum of the Civil War by the AMIGCE, an international group led by Dr Pelai Pagès, professor of history at the University of Barcelona. It would be the first of its kind in Spain, and controversial in a country that still hasn't come to terms with the legacy of the war. But controversy has rarely been something to stop the Catalans. The growing independence movement, led by Catalan President Artur Mas (CiU) and by his successor, Carles Puigdemont and reignited by disgust at the hapless government in Madrid, is the story of the day. About half of Catalans favour independence, while the rest are content living in a solidly democratic state where they enjoy control over their own education and police, and get to keep most of their tax money. They also know that independence would mean, at least for a while, a colossal blow to the economy. The EU has already made it clear that Catalonia would have to start from the bottom in reapplying for membership. Undaunted by Madrid's refusal to recognize the vote, Mas he declared after the election that his government would begin the process of creating independent institutions. Madrid said it was illegal. In January 2016, Mas was replaced as President of Catalonia by Carles Puigdemont who promised the referendum on 1 October 2017 in spite of Madrid's vehement opposition. The campaign was interrupted by the horrific attack of 17 August 2017, when 22-year-old Younes Abouyaaqou drove a van into the Ramblas, killing 13 and wounding 130, shocking the city which until then had escaped the terrorist plague that has bedeviled so many cities throughout the world. Nine hours later, five other men drove into pedestrians in the Catalan town of Cambrils and killed a women before they were gunned down by the police. Authorities believe the five and Abouyaaqou, who was shot and killed several days later, were all part of a much larger plot to blow up the Sagrada Família, that had failed after the bombs they were attempting to make with 120 gas canisters accidentally exploded the night before. For a brief moment, Barcelona and Madrid were united in grief, as Puigdemont and Prime Minister Mariano Rajoy stood side by side at the memorial ceremony. But the spirit of détente didn't last long. The Spanish Constitutional Court ruled that the vote was illegal, and when Puigdemont went ahead with the independence referendum, which was supported by 92% of the 43% who voted (many of the opposition to independence abstained), while the violent attempts by the Spanish authorities to prevent the vote in several polling stations made the headlines. Based on the vote, the Catalan parliament went ahead and declared independence on 27 October. In response, Laroy imposed direct rule over Catalonia and issued arrest warrants for the Catalan leaders—including Puigdemont, who along with a handful of associates were in Brussels, and who remain in self imposed exile at the time of writing. New regional elections were held in December 2017—which was won by a slim majority Puigdemont's independence party, along with other Catalan nationalist parties. Puigdemont was chosen as leader on 1 March, but refused the posibition, before claiming to be part of the Catalan government in exile, while purchasing a house in, perhaps significantly, the town of Waterloo. All you can say is stay tuned for the next episode. They may be broke, but they're still building like beavers. The Barcelona of the future can be seen around the Plaça de les Glòries Catalanes, planned as a new city centre, and the adjacent quarter of Poble Nou, which includes the Vila Olímpica. Plans to renovate and expand Camp Nou, proposed a few years back by Norman Foster, have fallen through, but bidding by a new design team is on track; the new high speed train station at La Sagrera may have to go without its Gehry skyscraper, but is slated for completion in 2019. And the Sagrada Família just keeps growing like Topsy it has reached its final stages.